What is the significance of Homa / Homam / Havan / Yag / Yagna / Yajana ? Homas are powerful ancient fire rituals that have been performed in India by the Vedic sages for over 5000 years. Sri Krishna in Bhagavad Gita quotes, “This creation is a yagna”. Yagna also means sacrifice and by this he meant that creation is an eternal flow of birth and death; it is a sacrifice where one’s death gives way for the birth of another, continuously, something gets sacrificed for something to arise. This is how the Vedas interpret the creation and in the purview of the Vedas, the homa is but a miniature model of this Universal Sacrifice. 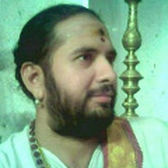 As a sadhaka participates with all his heart and as various offerings like molten butter, herbs, sticks of certain trees are offered into the sacrificial fire along with the powerful chanting of mantras, the energy generated enables the sadhaka to tune into the Cosmic consciousness or God whereby his prayers are answered. It is well known that the presence of fire has an immediate bearing on the sadhaka’s Kundalini and the energy fields of that place which makes prayer all the more easier. The time taken to perform a homa can be anything between 1hr. to 3hrs depending on the nature of the homa. Certain homas include certain rituals while certain others include a different set of rituals. What is Ganapathi Homam / Havan or Gana Homa ? To perform Ganapathy Homa the following materials are essential. Ghee, Modhaka (a kind of sweet prepared with coconut, gur and rice flour or wheat flour), durva (a kind of grass). Mahaganapathy Homa is performed with Ashta Dravya (a mixture of eight materials) 1.Coconut, 2.Banana, 3.Honey, 4.Sugarcane, 5.Ghee, 6.Modhaka, 7.Jaggery, 8.Puffed rice. In Sankatahara Chathurthi Homa, apart from ghee, we can use all varieties of flowers, fruits, sweets, etc., which may count upto 108 dravyas (materials) except tulsi leaf. What is Maha Mrityunjay Homam or Havan ? Maha Mrityunjaya homam is perhaps one of the most effective spiritual way – the spiritual process of healing – to survive and rejuvenates a man or woman who is under a life threat and fighting against death. Maha Mrityunjaya homam is said to be thousands of years old spiritual process which is done by invoking Lord Shiva in the form of MAHAKAAL OR MAHAKAL – the ultimate and primordial force of the universe who is believed to be capable of reducing (or even removing) the process of death and can rejuvenate the men or women who is fighting against death. Maha Mrityunjaya Puja is held for the diseased person or for the person who is facing untimely death like a victim of accident etc. Chances of death is believed to removed or reduced by this Maha mrityunjay homam. Therefore, it is also done for those persons who anticipate his or her untimely death by any means. It is also believed to remove the the fear of death. This is done to get rid of prolonged sickness …especially for those who are struggling on their death bed to survive. Mahamrityunjay Homam is very effective for removing some specific evil planetary effects or yogas of someone’s horoscope including KALSARP YOGA that repeatedly hinders the progress in life. Kaal Sarpa Yoga is one of them. Maha Mrintyunjay Homam is invariably associated with Maha Mrityunjay Mantras and Thousands & thousands of Maha Mrityunjaya Japas which are really important factors of this Homa. This is said to protect the man against accidents, any kind of misfortune, fears of death etc. Pls. note that Maha Mrityunjay Homa is an important Homa and it is conducted following some special spiritual process which are rare now-a-days. We take this Homa very seriously and proceed in a constructive way. First we start Mahamrityunjay rituals which is conducted and continued for few days and gradually intensified with its speciality and indepthness. After few days we conduct Holy Mahamrityunjay Yagna i.e. Homa and then the Maha Mrityunjay Rituals are continued for next few weeks. Please note: The person who is undergoing a serious medical treatment, is advised to go for this Homam side by side along with medical treatment. What is Navagraha homam / Navagraha Shanti ? Bad times are the effects of different malefic Planets (Grahas) and their position in our Horoscope chart. Even the Good Planets can not give you good favourable results if they are affected by those malefic planets or their position in natal chart is not good. One of the best solutions is Navagrah Homa. Grahas can be appeased by performing the Navagraha homam to remove and reduce Doshas i.e. malefic effects. The blessings of the navagrahas can be obtained even if they were placed in disadvantageous positions in the horoscope. It is believed in Hinduism and astrology that each and every above 9 planet has individual role that influences every man / woman directly or indirectly, positively or negatively and their fortune is also determined accordingly…favourably or adversely. To keep all these 9 planets calm and quiet so that our fortune favours us Navgraha Homam and Aradhana is necessary. Navgraha homam is an extremely beneficial homam. It is very useful since this Homam strengthens benefic planets and pacifies malefic planets. This Homa increases the positive influence of benefic planets and also neutralizes the negative effect of malefic planets. Navagraha homa is basically a combined homa for all nine Graha or planets. Navgraha homa is recommended for all as it always gives a very positive energy or influence to everyone by activating their wheels of fortunes. The person who is suffering from Misfortunes, Getting obstacles again and again and not getting the desired results in spite of the repeated efforts, lacking Success – this homa is ideal for them. This Homa is particularly very effective for those whose planets are detrimental or malefic as per their horoscope. It is advisable that Navgraha homa should be performed twice every year so that you always get maximum advantage from your planets. Humanbeing are actually covered by the positive and negative influences of nine planets i.e. 9 Grahas around the earth. Each of these nine planets exerts an influence in our lives. This nine Grahas or planets in our horoscope controls our activities i.e. our joys and sorrows, our Happiness and Distress, our Success and Failures, our Victory and Defeat. Navagraha Shanti homa is performed to reduce the negative and Evil planatary effects on a person and to improve the positive energies on him / her. Therefore by offering Navagraha Shanti Homam somebody may get the solution of his / her problems which he / she is facing and even may avoid the very negative consequences. What is Aayush Homam ? Aayush Homam is one such, performed on the completion of first year of birth Nakshatra (note – not as per birth date, but the day of constellation that falls on the same Indian Calender month in the following year of birth). Primarily to pray for longevity and prosperity of life this Homam is performed. Aayush = meaning age or tenure of life, and Homam, the invocation of the deity through a consecrated fire. Though it is usually performed on the First birthday (Star-wise) of the baby. it can even be performed anytime later during one’s lifetime. The purpose of performing Aayush Homam is that, when a child is born, the possibilities of having the vibrations of previous birth and might identify the previous birth’s contacts. To remove that from the present body, they apply certain herbal sticks, that will heat the body and mind, which will remove the poorva jenma karma, and make the child fit to live this generation. In The Holy fire they offer cooked rice, ghee made out of cow’s milk and some samithu known as wooden sticks of smaller size. While offering these, they recite and chant the Aayush Sooktham for a minimum three times, that contain eight stanzas. What is Sudarshana Homam ? This homam is generally performed to accomplish any task successfully and also for prosperity. Other benefits include removal of negative energies, healing of the body and mind. This is a very powerful homam and a corporation aspiring for overall growth and success can opt for this homam. This homam also has a yantra (the yantra is a copper plate with special sacred symbols) that has the power to dispel all negative thoughts and attract positive thoughts essential for success. Sudharshana Homa – overall success. This homa is generally performed to accomplish any task successfully and also for prosperity. Other benefits include removal of negative energies, healing of the body and mind. This is a very powerful homa and a corporation aspiring for overall growth and success can opt for this homa. This homa also has a yantra (the yantra is a copper plate with special sacred symbols) that has the power to dispel all negative thoughts and attract positive thoughts essential for success. Sudarshana is the personification of the Discus held by Lord Vishnu. It is representative of the all-pervading Cosmic Mind. Sudarshana is one of the wrathful” deities and is invoke along with Narasimha for protecting the spiritual aspirant from all negative forces that may be at work disturbing their lives and their Dharma practice. The ritual can also be used as a type of exorcism which removes elementals and other troublesome astral entities as well as counteracting curses and spells. Lord Sudarshana is the chief deity of this powerful Homam who uses his mighty weapon “Chakra” to grant immediate relief to the sufferings of his devotees. Also, your sins are abolished by his grace. Lord Sudarshana/Narayana is considered as the first step to be adopted in the concept of realization of God. Finally, Sudarshana Homa is regarded as the best protection from all evils, dosha nivaran, troubles from enemies, black magic, evil eye, fear and persecution by evil sprits and health problems. Grants the protection of Lord Vishnu’s Sudarshana Chakra.Pooja of Lord Vishnu is performed with Tulasi leaves, Purusha Sukta is recited and Sudarshana yantra is worshiped with Sudarshana mantra japa. What is Chandi – Saptashati Havan / Homam ? Devi Mahatmyam is also known as the Durgā Saptashatī (दुर्गासप्तशती) or simply Saptashatī, Caṇḍī (चण्डी) or Caṇḍī Pāṭha (चण्डीपाठः): pāṭha – “reading” – refers to the act of ritual reading. The text contains 700 (saptashata; “seven hundred”) verses, arranged into 13 chapters. 1. The main purpose of Chandi is to glorify Shakti. Shakti is the dynamic aspect of the ultimate reality known as Brahman. Shakti is generally regarded as the feminine principle. A mother has three main functions: to give birth, to nourish, to care and protect. It is the third aspect that is highlighted in the Chandi. Adi Shakti is not a disinterested spectator of the drama of human life. She is an active participant. She protects people from dangers. The second purpose of the Chandi is to depict the reality of evil. Vice, wickedness, cruelty, injustice, suffering – all these are as much real as virtue, love, compassion, cooperation etc. which humanity has idealized and dreamed about from time immemorial. Dharma and Adharma, virtue and vice, are two inseparable aspects of reality, and we have to accept both. We generally tend to associate Godhead only with love and compassion. We forget that Godhead has also an aspect of power, terror and destruction. It was this destructive aspect of Godhead that Sri Krishna showed Arjuna through the Vishwarupa Darshana revelation. What we find in the Chandi is the same terrible aspect, but associated with the Eternal Feminine. Mahishasura, Shumbha, Nishumbha and other characters portrayed in the Chandi are of course mythological, but this does not make them irrelevant in the present-day world. As a matter of fact, Chandi assumes greater reality and relevance in the contemporary world than at any other time before. Chandi is not a book of romance. Nor does it promise a utopian world. On the contrary, it wakes us up from our futile dreams and situates us right in the midst of the terrible realities of the present-day world which we very often fail to face. The third message of the Chandi is the empowerment of women. The Chandi shows to what heights this empowerment can be raised. In all countries in all times, women have been indoctrinated from childhood to believe that they are weak, helpless and totally dependent on men. The Chandi shows how much power women can wield, how they can work independently, and face boldly even the worst challenges of life without unduly depending on men. Devi Chandi is another name of Devi Durga and the symbol Shakti, who protects the human being from the happening of all evils and blesses with Success, peace, abundance and Prosperity. The purpose of the Chandi Homam is to remove any obstacles or blockages in growth – both internally and externally – for a person or a group of people. Chandi homa is very useful for the getting success, wealth, prosperity, fame, removal of fear, health, longevity, Fulfilling of Desires, food, progeny, strength, removing ailments, removing danger and defeat in the hand of adversaries. This Homa is really very useful for the elimination of all sufferings… protection from all miseries, fulfillment of your wishes and Desires, Rescue you from any Harm & dangers, getting of spiritual benefits and GIVING YOU THE VICTORY. It is said that by performing chandi homa for five times, the evil planetary influences are removed. On performing of this homa for seven times removes all fears, eleven times brings royal influence and sixteen times begets progeny.